I went up to San Gorgonio Mountain last weekend with Diana Jolles (all pictures credit D.D. Jolles) to look for Boechera peirsonii at a locality it has not been found. We looked for it a bit south of Charlton Peak near (just below) Dry Lake View, accessed from Dry Lake. 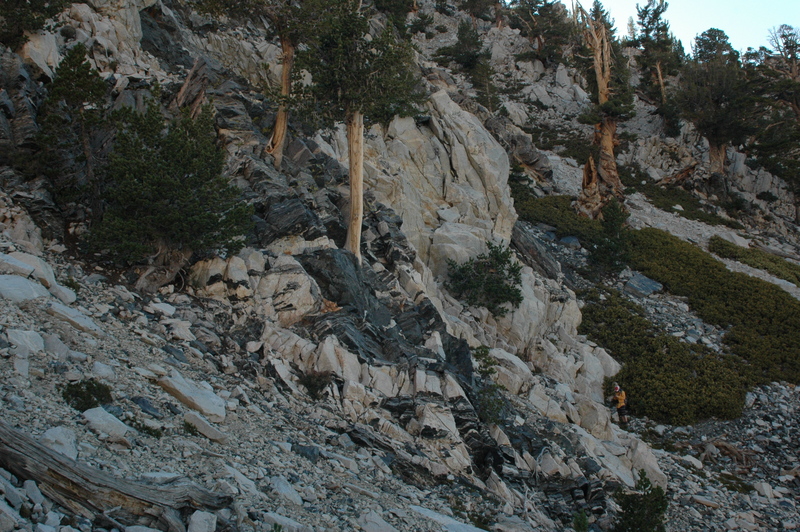 This sits on the west end of the bowl that was once a large glacier on the north slope of San Gorgonio Mountain, only a stone’s throw from the type locality for Boechera peirsonii. We checked out this super sweet habitat, but didn’t find any Boechera peirsonii just below Dry Lake View, at the toe slope of the north face of San Gorgonio Mountain. Not to say that we didn’t find any Boechera, we just didn’t find the one we were looking for! Looks like what we call Boechera platysperma in southern California needs some work! 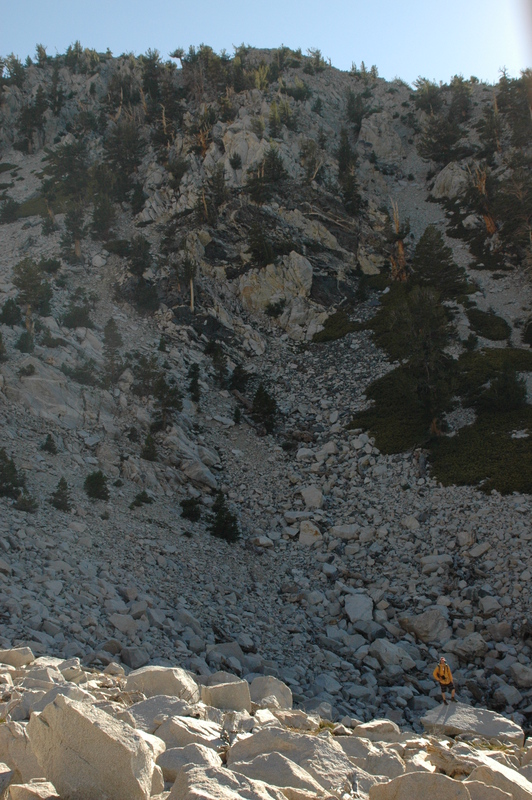 Next week, cirque east of San Gorgonio Mountain above Mineshaft Saddle. Fish Creek Trail? Any takers? There is work to be done up here, who wants to go for a hike? !